Kerry initially qualified as an accountant and held chartered accounting and financial controller positions both in New Zealand and the UK. Her natural curiosity and nose for business led Kerry into entertainment licensing and this was the beginning of her passion for brands. Kerry spent five years working for the entrepreneurial arm of TVNZ where she focused on generating profit and value from programme brands, representing studios like ABC, BBC, Nickelodeon and Fox. As digital television emerged as the new way to engage TV audiences, Kerry returned to the UK to become the commercial analyst for a UK pay-television company. Once back in NZ, she was contracted in sales and marketing roles for TVNZ and Auckland Zoo. Website content improvement, sponsorship management and other marketing and commercial initiatives all sat within her remit. 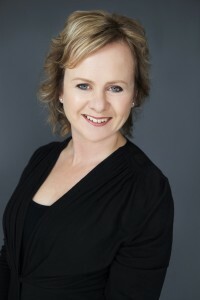 Kerry also worked with Annabel Langbein, a leading NZ cookery book writer providing business development strategies, publicity and marketing. Kerry quickly spotted the marketing potential when social media technologies were first developed and set up Social Media Mgr Ltd. She now works in partnership with Lynn Wrightson to provide on- and off-line marketing support for NZ businesses. 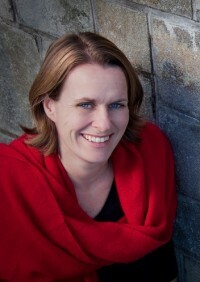 Lynn has 20 years of experience working in B2B public relations and strategic communications. She spent the first half of her career developing and implementing campaigns for agri-business, financial sector and food industry corporate clients in the UK. Clients included Schering-Plough Animal Health, Dow AgroSciences and Northern Foods. Lynn works with Kerry and a team of talented graphic designers, SEO specialists and web developers to deliver a full range of responsive marketing services. Kerry and Lynn focus on putting together integrated on- and off-line campaigns for New Zealand businesses of all sizes. Lynn’s thoughtful approach helps clients to see their business from the outside-in. She analyses business strengths then identifies target audiences before creating strong messages and innovative ways to deliver them. Her enthusiastic approach generates fresh campaign ideas while Lynn’s business experience keeps projects well-targeted and within budget. With a strong track record of taking complex technical information and turning it into straightforward, engaging copy, Lynn is also a professional writer whose breadth of experience extends from press releases and features to corporate crisis communications and reputation management. Caroline Hudson spent the first 15 years of her career as an international flight attendant with Air New Zealand. This role gave her plenty of insight into human nature and the importance of positive social interaction. Caroline’s role with SMMgr is literally as a social media manager. She spends her days focused on the hands-on work required to manage clients’ social media marketing – finding content, posting, uploading blog articles and planning promotions across all SM platforms. Her lively curiosity and meticulous nature make her an asset to the SMMgr team. 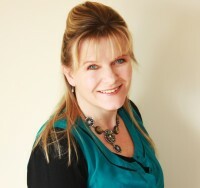 Caroline enjoys the varied nature of the role, working across a range of different clients and sectors. Our team works with an established group of graphic designers, web developers and SEO specialists to deliver the specific expertise for each campaign and client.